Always examine the entire floor has no loosely connected blocks to the underlying floor. There’re ways to determine this, say if you are walking and you realize some movement on it or when you try knocking on the wood, a hollow sound is made. 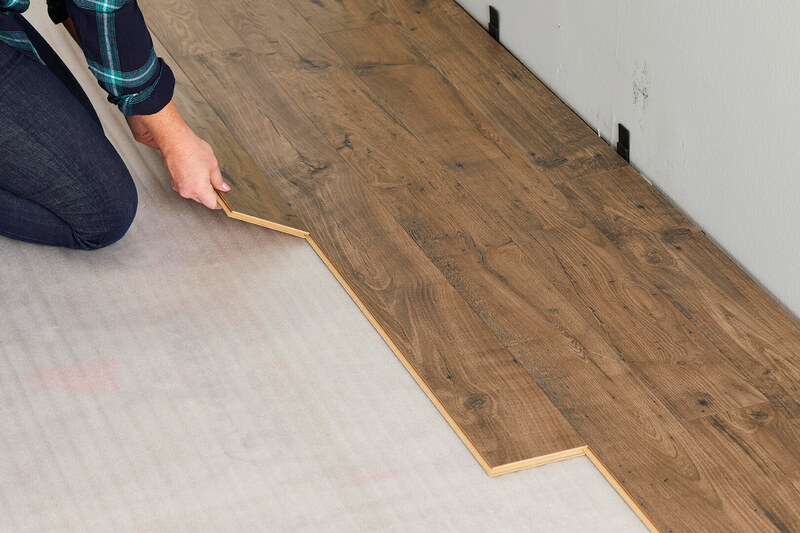 Even if the floor has some missing blocks that were removed during the installation of central heating or some plumbing work, ensure you check out the entire floor. Most Britain-made parquet floors have grooves and a small tongue for interlocking them. Therefore, extra caution is recommended when removing the damaged/loose blocks since you don’t want to loosen the blocks connected. Before finding replacements, be sure to know the precise size of the existing blocks and purchase from the same source. 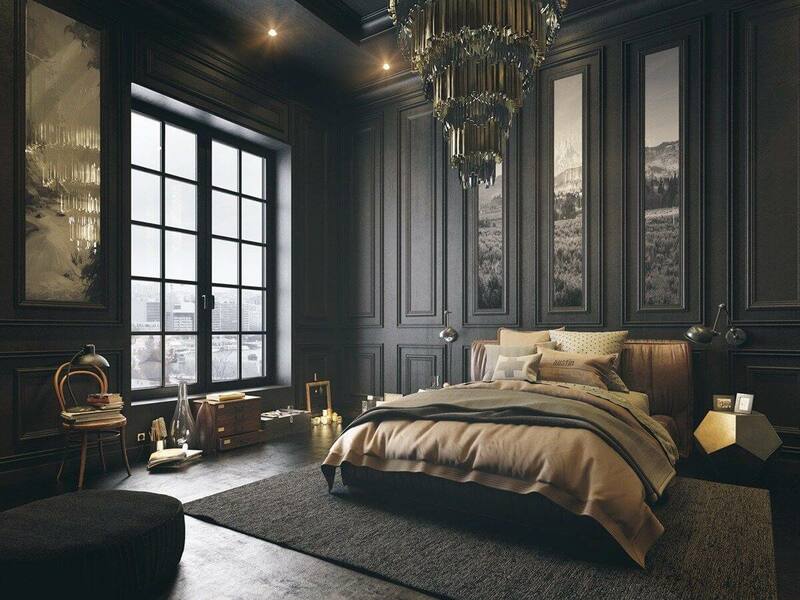 Initially, the parquet floors were fixed down using the black tar, Bitumen, which is not used nowadays. Despite it being a challenging job, Scrapping, chiseling and sanding will require a large amount of paper. When you dip them in to Kerosene, you’ll need to be extra careful and use face protection or wear gloves. Put the blocks in a freezer to make it easy when chiseling and scrapping off. Ensure no Bitumen remains in the grooves and the underfloor. 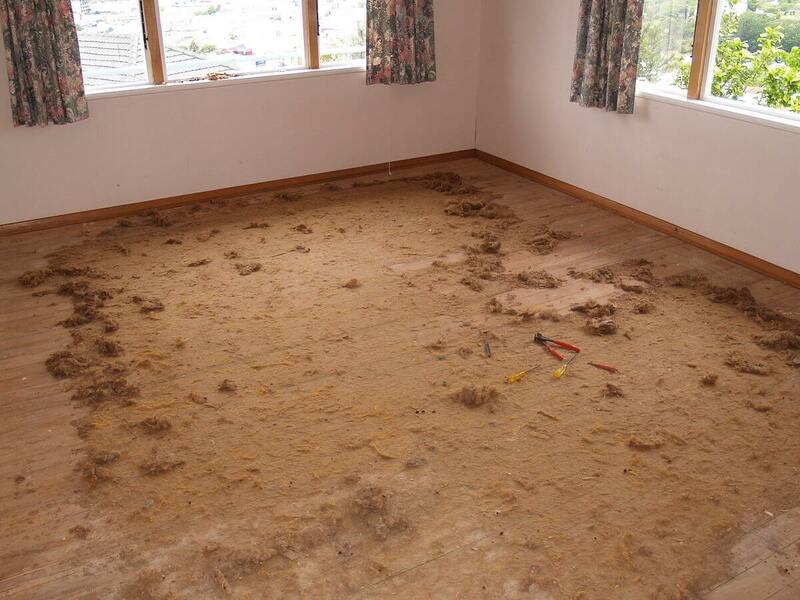 You may find that where blocks in the underfloor have been removed, is uneven. Also, when removing the Bitumen, the sheet material or concrete may get damaged. Making use of the acrylic leveling compound, non-water based, can greatly assist in leveling a concrete floor in the best way possible; a maximum of 3 mm per coat. It is really important to keenly read the instructions first before proceeding with this kind of job. 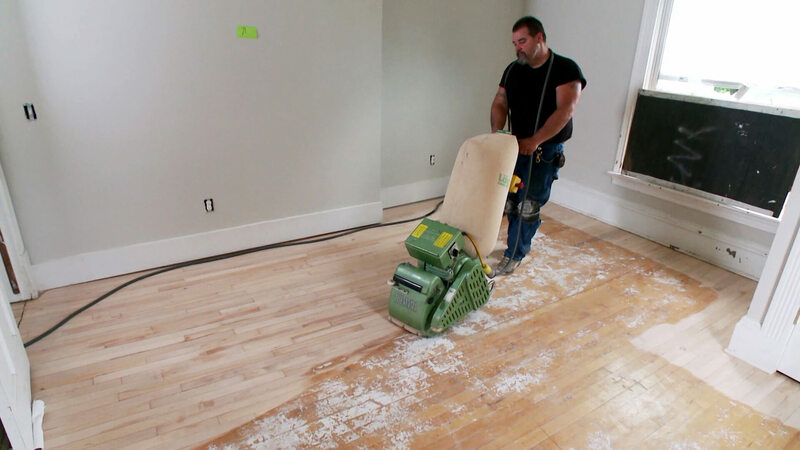 Give the compound enough time to dry and then you can begin fixing back the wood flooring blocks. For an uneven sheet material, try nailing hardboard onto it or leveling it using a hand sander. 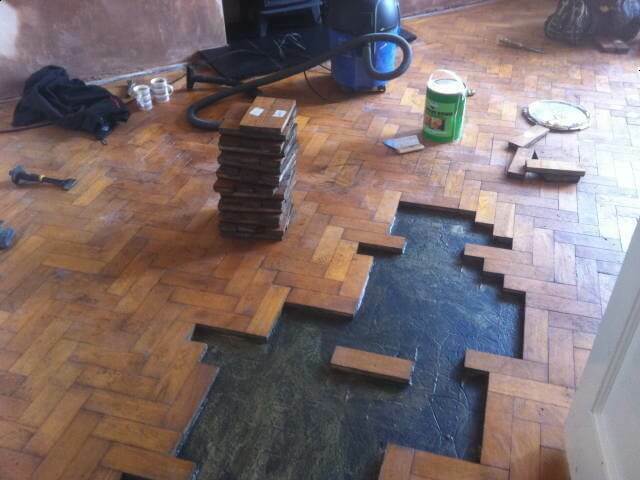 This is an important step when refurbishing parquet flooring. Follow precisely the existing pattern of your floor. Don’t be afraid of the tiny gaps between blocks, they can be filled later; also, traditional and current parquet floors have these small gaps because of the change in humidity during different seasons. Spread, using a notched trowel, the modern parquet adhesive to the underfloor. After ridges of adhesive are created, you can place the blocks. The ridges extend beneath the block creating an even coverage. Have a cloth nearby to clean off any spills of adhesive from the block’s surface. For a job well done, it will be better to sand, not only the re-installed blocks, but the entire area. Sanding begins after the blocks have connected firmly. Sometimes, you have to clean off the old finishing layer of the initial parquet floor before you could begin sanding. Begin by vacuuming the floor with the use of a belt-sander. If you identify that there’re many differences in height, begin with grit 40. Also, its better to start from a certain corner in the room and walk slowly with the belt-sander to the other corner. Vacuum clean the entire floor by repeating the whole process using grit 80. 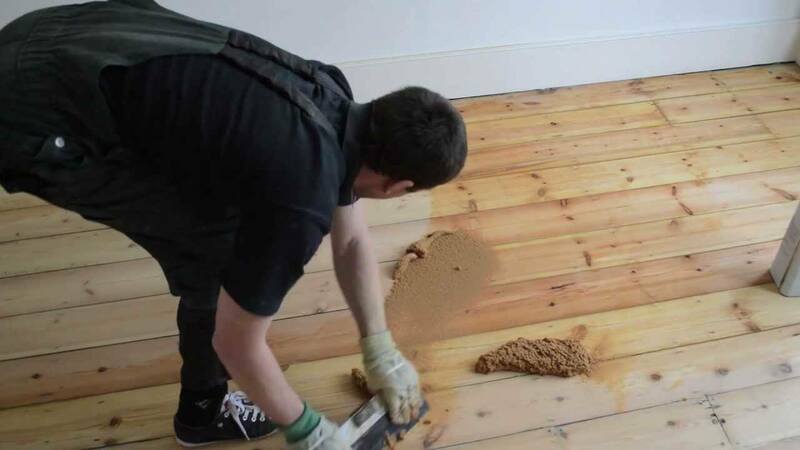 In order to fill the wood floor’s gaps, combine the sand dust collected from the sanding in the second round with a unique wood-filler. Be careful not to overdo it-the drying time is quite short. The bigger gaps can be filled with a scraper in the best way possible. The third round of sanding will get rid of excess filler existing in the wood blocks, so you don’t have to worry about that. 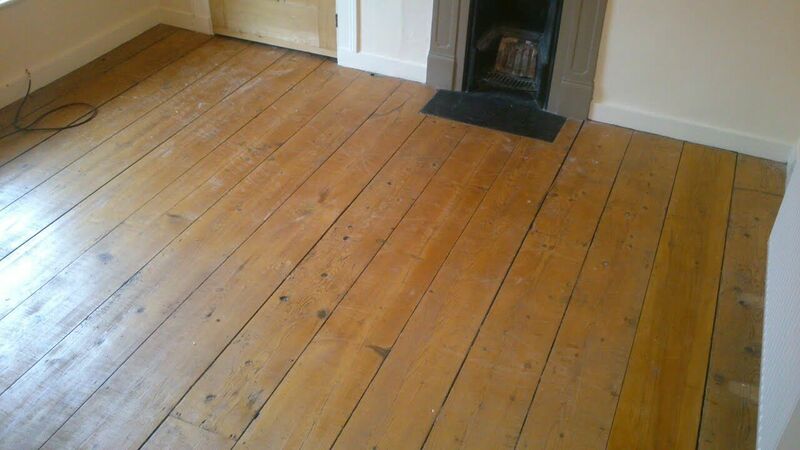 Oils have their way in restoring your floor. They bring out this non-glossy, natural character. It penetrates in to the wood providing long-time protection while the wax helps in creating the wear and tear layer, hence protecting the floor from drips and dirt. 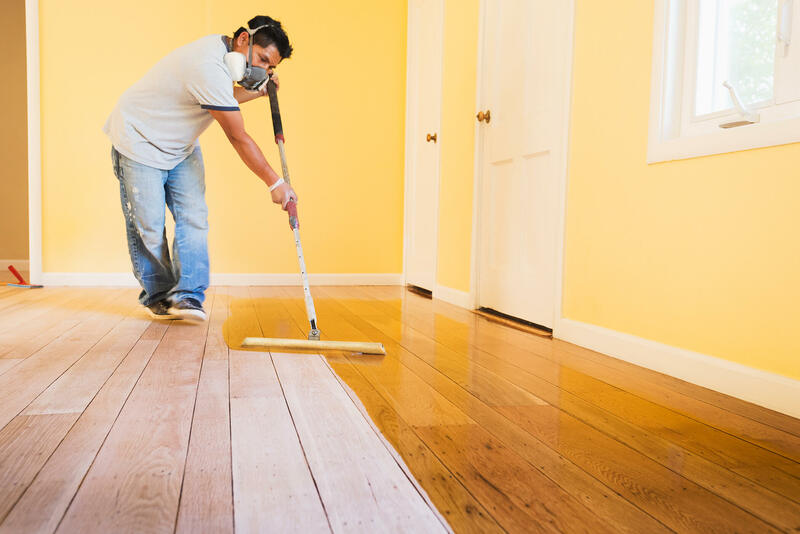 These ways to get the job done in refurbishing parquet flooring. Remember to always read the instructions of the products keenly. With this easy steps, you get to save quite some money you could have used to install a new parquet floor.